This fascinating book takes the reader on a journey to the Andaman Island, a captivating archipelago that has been shrouded in mystery because of its geographical distance from the mainland of India. The author, in his unique style and lucid manner, reveals the natural, cultural and human wealth of these islands through his personal experiences. Extensive studies and explorations of the region for over 15 years. 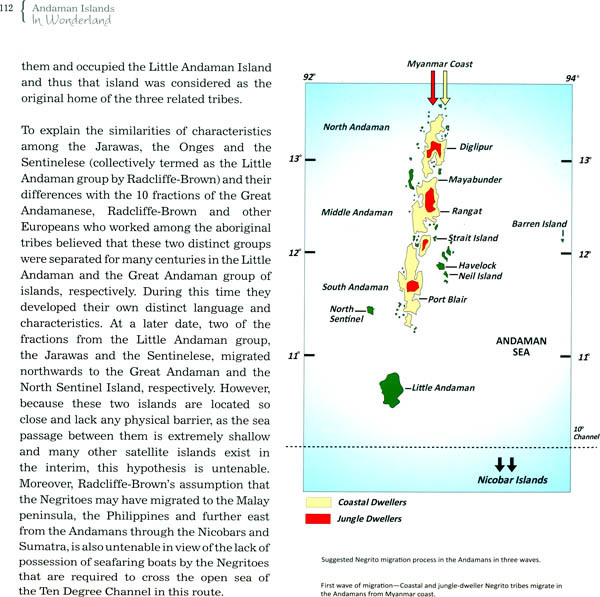 Andaman Islands: In Wonderland captures the various moods of the terrain and its rich heritage in different seasons. It contains detailed descriptions of the disastrous effects of the tsunami that took place on 26 December 2004. Its exclusive Photographs and meticulous presentation make the book a collector's choice. Dr Tilak Ranjan Bera is an avid nature lover and has a passion for travelling, writing as well as photography. He completed his medical graduation from Calcutta Medical College in 1981 and post – Graduation in Ophthalmology from Mumbai University. Dr Bera has also explored many remote areas of India and has in recognition of his works,he was awarded the Fulbright Nehru Fellowship by the ministry of Culture, Government of India. He was an Associate at Yale University in the USA, during his Fulbright fellowship. I had been appointed the ophthalmologist of the Naval Hospital at Port Blair and could not believe that I would be travelling to the Andamans, the archipelago that had become famous as a wonderland of India. On receiving my posting orders, I wanted to know more about the place. As I read about the territory, I realised what an amazing destination it is. Though it is a part of our own only is it situated far from the mainland, but geographically, too it is so different, being an archipelago. Historically, it is nothing less than a goldmine. So many interesting events have happened here but we have kept title track of them because it did not involve the mainland and did not affect our history. The events were solely related to that territory, affecting the people settled there. It is indeed a haven for anthropologists as it sustains a number of the most interesting human species in the modern world. There is possibly no other place in the world where a number of Stone Age tribes still exist. Moreover demographically a very interesting amalgamation has taken place hare because of a series of political events affecting our country over a long period of time. At the end of my exploration for three years, I made all attempts to understand the geography, ecology, anthropology and demography of the archipelago and interacted with researchers on respective subjects to enrich my knowledge. A number of issues intrigued me and I pursued them to the extent possible, many puzzles though still remain unresolved. This is not a scientific presentation. I am sharing all the information, experiences and views with my readers. If any subject provides food for Thought for researchers, I will consider my endeavour successful. Many islands of the region have remained unspoilt owing to their inaccessibility. The local population did not need to venture into these island, while tourists and even hard – core naturalists could not reach them because of lack of infrastructure. There are many beaches, too, that have been rarely visited by humans. Here, the high tide bathes the golden sand with its caressing touch; the rhythmic splashing of water has symphonic sonority. The moonlight plays hide – and – seek with the forest foliage in the evening hours, while the monsoon breeze embalms and enchants the mind with the freshness of nature. This natural wealth is in abundance and in its most pristine form. No wonder this Emerald Necklace of India is fast emerging as a tourist paradise. The archipelago is not only a retreat for eco – friendly tourists and naturalists searching for peace and tranquillity, away from the din and bustle of cities zoologists, anthropologists and even historians. I wish I had fellowship to continue this study in the distant land on a long – term basis. Instead, I had to pursue on my own, amid a host of difficulties, guided by my intense passion for this territory. It was truly a challenging period which, however, I thoroughly enjoyed, in spite of all the odds. The exquisite islands were, indeed a unique sojourn of my life and an unforgettable experience.